Government housing tsar Phil Twyford has launched a new housing plan which will take the wind out of the sails of many New Zealand local authorities. And it will not be before time. The Housing and Urban Development Minister says the now Housing and Urban Development Authority (HUDA) will act in partnerships with local iwi, councils and the private sector. The HUDA will incorporate Housing New Zealand, which will become just a state landlord, KiwiBuild and a yet-unnamed entity. There will be no change for state house tenants. HUDA will have broad powers, including being able to ignore existing council designations, amend or write its own by-laws and grant its own resource consents over which councils will have no power of veto. After years of promises across the political spectrum, Twyford says the authority will be able to cut red tape. Land use regulation and the rules governing development projects have been solely in the hands of councils and Twyford says that was not working. He wants to change things by putting central government in to work alongside councils. He hopes the authority will mean developments will go from concept to building within 12 months. New Zealand’s main local authorities of Auckland Council, Wellington City Council, Christchurch City Council and the Dunedin City Council are led by left-leading mayors – two of which have expressed their concern about Twyford’s plan. Auckland Mayor Phil Goff, a former Labour party leader and cabinet minister, is opposed, saying it is important for the HUDA to work with the council. Wellington Mayor Justin Lester, who stood on the Labour ticket, was also cautious. Christchurch Mayor Lianne Dalziel is a former Labour cabinet minister and Dunedin Mayor Dave Cull is in the Green-Labour political spectrum. Cull is also chairman of the New Zealand Local Government Association and unlikely to want to lose control of such an important power of having councils deciding who gets to build what and where. Kiwis have been held to ransom by council planning departments. Auckland is a mess with thousands of houses awaiting planning approval. Dunedin developers have long complained about the inefficiency of the city planning department. Getting approval of the left-leaning mayors will not be easy and Twyford knows this. Getting the policy across the line and into action will be far more important for the man yet to really make an impact on New Zealand’s housing problems. Representatives of developers are congratulating Twyford for his foresight. Even National housing spokeswoman Judith Collins says it a step in the right direction. There are two obvious ways of looking at the situation. 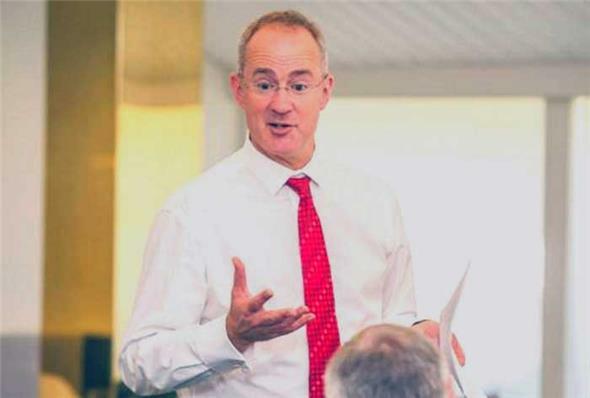 Twyford is well to the left of Labour’s cabinet and caucus and he may well be thinking of a centralised planning model, fitting with his own socialist ambitions. Business people and developers sick of councils holding them back will be looking at HUDA as a chance to fast track the consenting and building process. Labour needs some wins on the housing front and KiwiBuild is not going to deliver them. Weekend reports indicate the urban development Twyford envisages include high density living both within city boundaries, often opposed by people not wanting their neighbourhood to change, and new compact suburbs built for purpose. This is a major policy for the Government and it needs to win. If Goff is to be believed in his desire for greater consultation with council, then nothing will be achieved. Councils have prevaricated, leaving developers to walk away in frustration. Twyford needs to find support in Cabinet for this policy to be realised. Interestingly, Cabinet will make the final decisions on various developments and individual ministers will give the tick of approval. For instance, the Conservation Minister will need to approve any planned urban developments on conservation land. One issue yet to be resolved is the critical shortage of skilled building and construction staff. Steps have started for the training of New Zealanders but their course completion is months or years away. The Government, which campaigned on reducing immigration, may yet be forced to further expand its skill shortage register to make all of this work, something New Zealand First will find unpalatable. Housing and Urban Development Minister Phil Twyford.